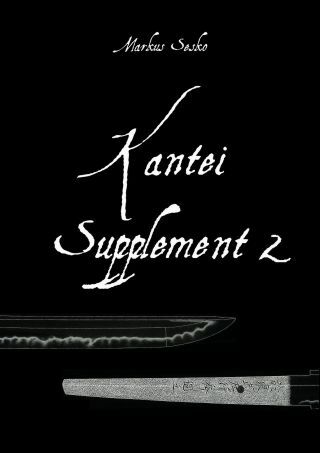 Out now as promised, the second supplement to the first two kantei volumes in English. It contains 175 kotô, shintô and shinshintô blades in the classical order, namely kotô-gokaden, kotô other provinces, shintô-centres Kyôto, Ôsaka and Edo, shintô other provinces and shinshintô. The numbering continues with the last blade of the first supplementary volume, i.e. with number 419. So we arrive now at almost 600 blades (594 to be precise) with all volumes so far!